The Jason Castriota-designed Chevrolet Corvette Mantide. Photos courtesy Aste Bolaffi. Nuccio Bertone received his dying wish: The company that carried his family name survived, at least in part, to mark its 100th anniversary in 2012. Just three years later, however, Bertone was effectively gone, the victim of mismanagement and the firm’s inability to cope with changing times. 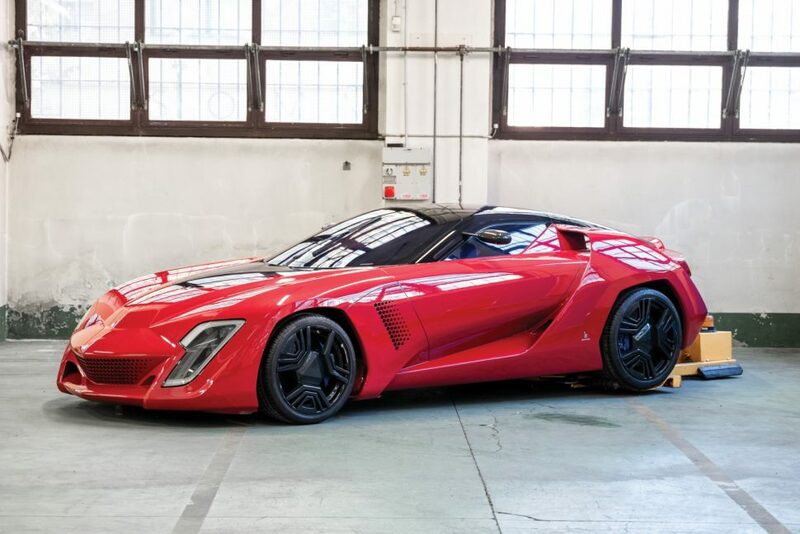 Though the last of Bertone’s concept cars were sold at auction in 2015, on Saturday, November 17, bidders will have a chance to buy a diverse selection of smaller (and more affordable) Bertone artifacts, offered by Italian auction house Aste Bolaffi. 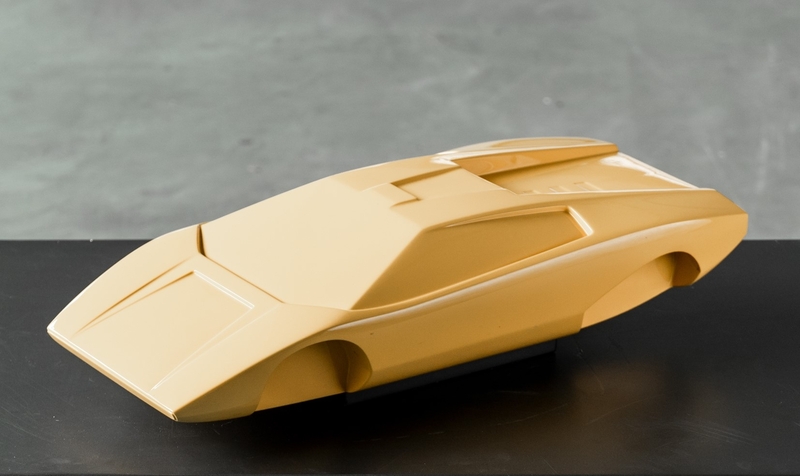 For fans of Bertone and its designers – legendary names like Franco Scaglione, Giorgetto Giugiaro, and Marcello Gandini, to name a few – the auction presents a rare opportunity to purchase memorabilia with direct ties to their designs. Want a design model of the Gandini-designed Lamborghini Miura that dates to the 1980s, or a set of five Campagnolo wheels for the car? Both will cross the block on Saturday. Are you a fan of the Lancia Stratos? A few pairs of Alcantara-clad seats from the car will be on offer, as will a silkscreened metal plate displaying the wedge-shaped car’s dimensions. A drawing table, modified in a manner preferred by Marcello Gandini. More personal history will be available as well, including a hatchet bearing the monogram GB, for company founder Giovanni Bertone, which was used to stamp timber selected for coachbuilt bodies in the firm’s early days. 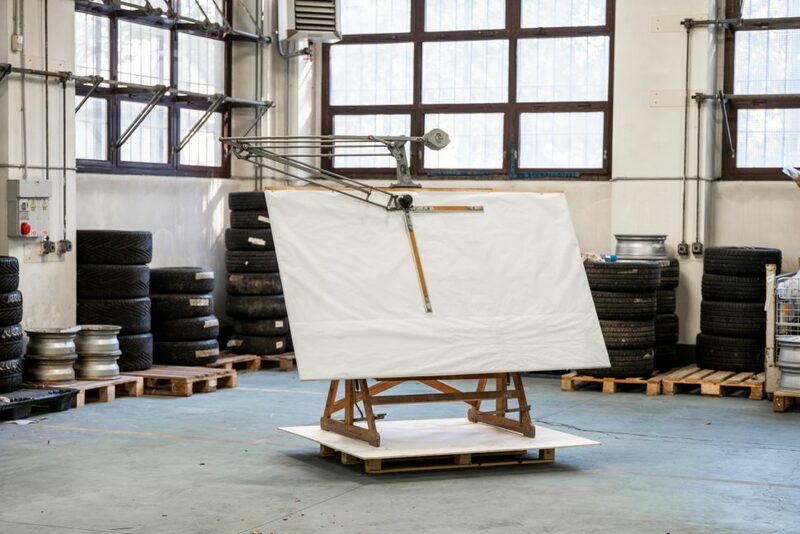 There’s a drafting table from the 1970s, modified in a manner that suggests it may have been used by Gandini, though no hard documentation exists to back this claim. 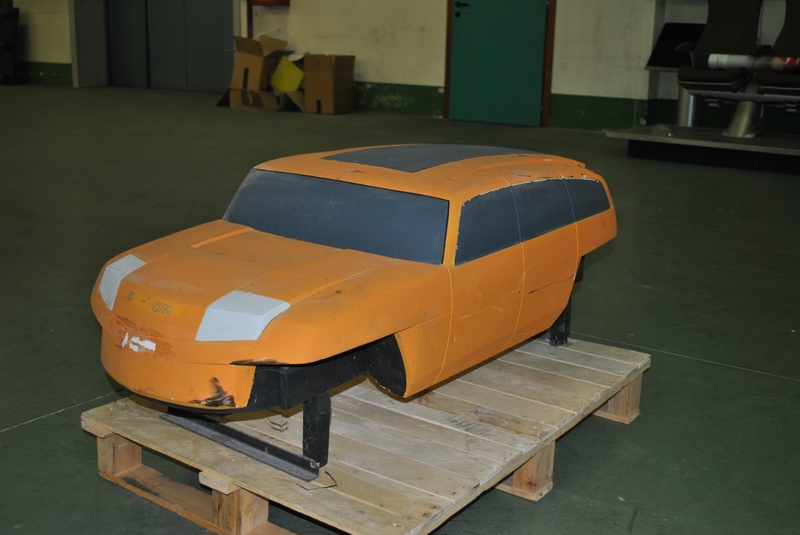 For fans of Stile Bertone’s later work, there are models of the Frecciarossa (Red Arrow) train, a design model for now-defunct GM division Hummer, and a full-scale (but non-functional) model of the Chevrolet Corvette Mantide, an oddly angular ZR1 variant penned by Jason Castriota. Design model for GM’s Hummer division. 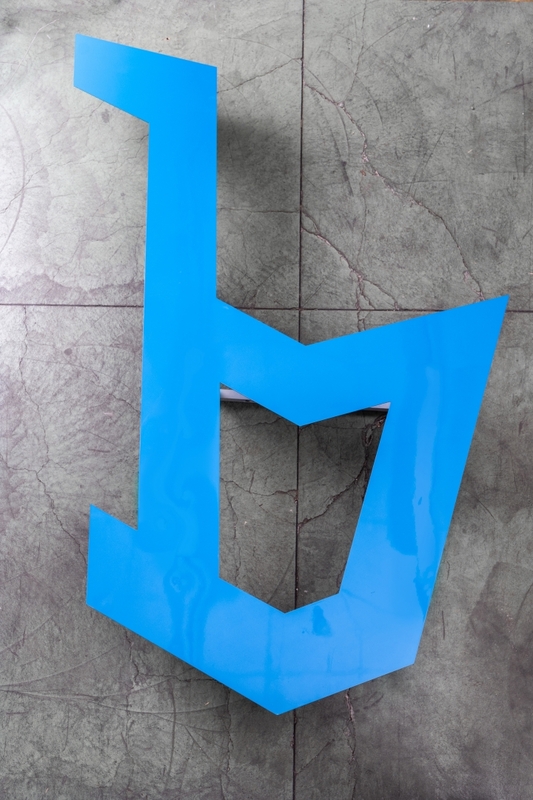 Bertone logos are available in a range of shapes, sizes, and materials as well, including the firm’s stylized “b” from trade show displays (in painted foam) and from its former Turin offices (in coated sheet metal). The Bertone roof sign, its bulbs replaced with LED lighting, will be available for purchase on a letter-by-letter basis as well. As Classic Driver explains, a similar auction – also hosted by Aste Bolaffi – was to take place in May, but Italian authorities blocked the sale of items from Stile Bertone’s archives on the grounds that they were of significant artistic or cultural significance to Italy. The matter has now been resolved, so Saturday’s sale is expected to proceed without interruption. In addition to the 197 lots of Stile Bertone memorabilia, the auction will include a selection of 35 “youngtimer” (of relatively recent vintage) collector cars, ranging from a Fiat 500 L to an Alfa Romeo Montreal. The Bertone name hasn’t disappeared, and the company exists today as a design firm based in Milan, ready to provide input on everything from architecture through furniture and transportation design. Though the new Bertone Design claims continuity with the firm founded by Giovanni Bertone in 1912, there’s little aside from the name to link the present with the past. For fans of the Bertone that once was, then, Saturday’s auction may well represent the last good opportunity to purchase a piece of firm’s automotive design heritage. 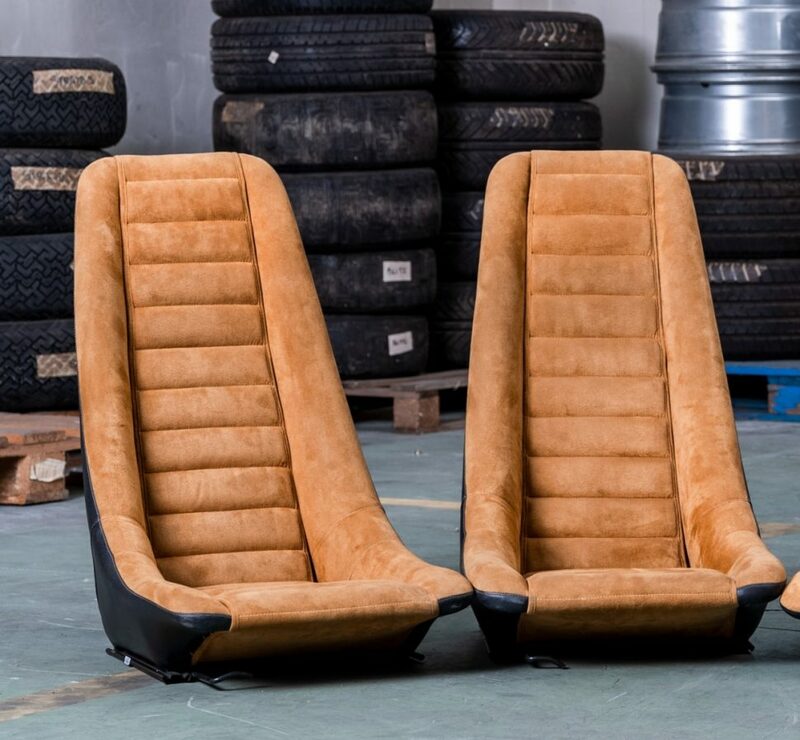 Pair of Lancia Stratos seats. The Classic Motor Vehicles Youngtimers & Memorabilia Auction will run from 10:00 a.m. to 7:00 p.m. Central European Standard time, and will take place at Garage Bolaffi, Corso Verona 36, E. Torino, Italy. For additional details, or to register for remote bidding, visit AsteBolaffi.it/En/Auction/102.